1. The uncoiler adopts hydraulic expansion. 2. The uncoiler can be moved right-left. 3. 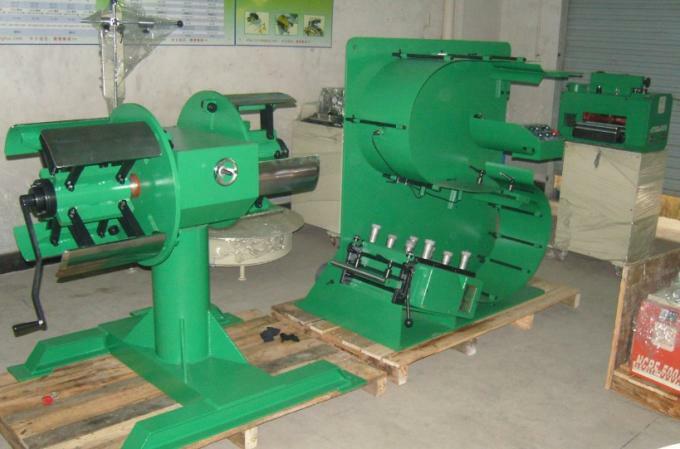 High speed double-head uncoiler, simply for operation, and can match with high speed punching machine. If equipped with gearing feeder the performance will be better. Clients can customize device for left-right moving (special configure). 4. S-type guiding system, photoelectric signal - PC transducer speed change, can work with punching machine total synchronously. The speed can be reached to 60M/min. 5. The gear change feeder is made up of very precise INDEXING CAM system, the accuracy is within 0.05mm when the feeding speed is 60M/min. 6. 2-Axis 180 degree revolving uncoiler, adopts hydraulic expansion, easy for operation and high productivity.